Personally, I sometimes find it hard to explain to "non-musical folk", the reasons why I miss every wedding, christening and social event under the sun. When you’re in a long running show, you get twenty-eight days holiday a year, which I think, upon my Googling, is the average in the UK for most full time jobs. However, I think most people don't quite realise that performing works in much the same way. I don't believe that actors work harder than anyone else but I also don't believe people realise that we work as hard as we do. As someone who's been asked "You don't actually get paid to have a laugh on stage, do you?" and we know that there's an abundance of people out there who think and say that performing isn't a "real job", it gets tiresome and disheartening to hear how "little" you do when you're getting in at 1AM after a two show day and getting back up at 7AM for 10AM rehearsals. 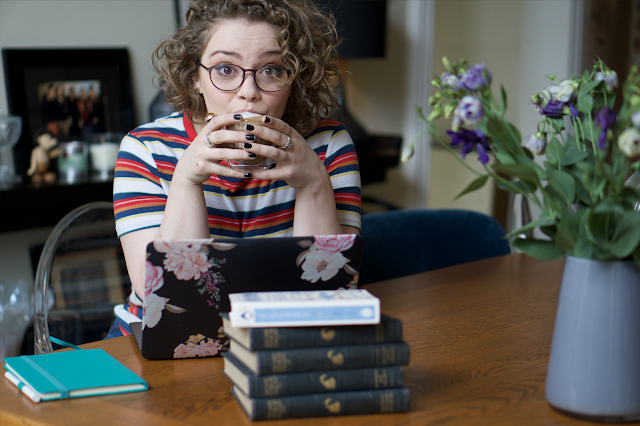 So, whilst all of this may be the same as many jobs in the UK, I thought it might be nice to write a blog about how holidays, sick leave and juggling a social life works in musical theatre from my own personal experience. Just to try and give a little insight into what it is to be in the West End! So, twenty-eight days holiday! It works out as half a day for every week you’re contracted to work. You then have to figure out when to take these holidays at the start of the year and book them in because there are certain rules in place about who your holiday dates are/are not allowed to clash with. For instance, when I was playing Eponine, I wasn’t allowed to take time off at the same time as Marius and Cosette or the two girls covering Eponine. Otherwise you may end up with no one left to play a role! There always needs to be someone in the building to play the role and someone to cover the role. So, if any of those actors got in there first and took my birthday off, I'd have a birthday show (which I secretly loved because it always felt like a special performance! People would whisper happy birthday on stage at certain moments, my room has been decorated with banners and balloons before and there's always CAKE!) When it comes to birthdays, it’s a little easier to figure it all out because you know your birthday will be on the same day every year. That’s a fixed date that you can book in advance. So, then what happens when something a little more unplanned crops up like a wedding, a christening or even a funeral and you’ve already booked in all of your allocated holiday time or the dates you need aren't available? With touring productions, you don't get to choose your own holiday at all. Instead the entire cast is given a week off at a time and the show goes "dark". If I can remember correctly, during The Addams Family, we did a week in Edinburgh and then had a week off, launched into about eight weeks of touring, had another week off, then did a fourteen week stint and then took one final week off before flying to Singapore! So there's absolutely no chance of dashing off to a friend's party for the night or a wedding for the weekend! You can ask for "pre-contractual" dates which is when you ask for time off in advance before signing your contract for already planned events however, the production company can deny your request. Which has happened to me. Twice. I missed two of my friends getting married. Boo, hiss. But thankfully my friends were also actors and understood that sadly, that's just part and parcel of the job! Whilst they were saying their vows I was "click-clicking" somewhere in the UK! Something else, I've discovered very recently is the tremendous guilt that comes with taking holiday (or even unexpectedly being ill) when your name is on the poster of the musical. When your name is plastered to the outside of the building, there's an expectation from the audience for you to be there on the night they're seeing the show and if you are not, Twitter becomes a minefield. So the pressure to always be at work regardless of your entitled holiday and even your health becomes quite hefty! Sundays (or sometimes Mondays, depending on your show schedule!) are sacred and I try not to fill them with anything at all if I can help it and that's one I find hard to explain to friends. My old school friends work 9-5 and I work 6-late so we don't get to see each other during the week. I'm free on Sundays so why can't I see them then? Performing in a show is high energy and funnily enough, very social. From backstage to stage door, you're constantly talking and switched on and then you go on stage to sing and talk and be switched on and then you get to stage door to talk and be even more switched on and by the time you leave the building at the end of the week, in my experience, I feel like I need to spend 24 hours in a darkened room with my eyes closed listening to whale music being completely silent. Vocal rest is SO important and a Sunday is the only day where you can get away with not speaking to anyone. For me, Sundays are for staying in bed for as long as humanly possible and moving as little as humanly possible and speaking as little as humanly possible. I feel so awful saying no to social events and seeing friends but if you give up a Sunday for anything in particular, you dive into another high energy week on less than a full tank of gas. By the time you reach a Wednesday or Thursday matinee, you're screwed! Especially when it comes to cast change. If you’re already in a show and you’ve just signed up for another year, cast change is taxing. You’ll be in rehearsals at 10AM - 6PM, the show begins at 7:30PM and you won’t leave the theatre until near 11PM so doing anything else outside the walls of the theatre is quite impossible for a couple of months! The schedule is also so temperamental that you only find out on a Saturday night what the following week entails. Even then, it can change the night before and we often get emails from the company manager during the week to notify us of any sudden changes. Luckily, I have wonderful friends who totally get it and I love them for that. Sacrificing a social life is maybe one of the hardest parts of being an actor as we keep quite unsociable hours. Many people think we rock up for the 7:30 show, go home and sleep in until midday and do it all again the next day. But all of that is just the acting side of things! Many actors, even those in West End shows, also have other jobs offstage to keep afloat financially. Receptionists, teachers, personal trainers, waiters, bar staff, writers, youtubers...! So as soon as we're out of the theatre, we're often off to work somewhere else! I say none of this to have a little whinge because I love, love, love my job despite it's crazy schedule. I feel privileged to love my job as much as I do and I'm truly grateful for it every day. I'm well aware that twelve/thirteen hour shifts are quite the norm in some occupations and holiday works much the same in many occupations! However, I don't think many people expect actors to work similar hours, even if only for a portion of the year! It's a "real job" as much as anything else. So, my aim is to alleviate that mindset a little and I hope it's interesting to know a bit more about the inner workings of balancing theatre with life on the other side of its stage door! Very interesting to read. Thanks for taking the time to write it. I work im a youth Center weekdays from 1pm to 9pm and eben though I got weekends off its hard to be able to meet up with friend who have the evening off. So I get a glimpse of what you're talking about. I loved reading this! I’m studying MT in Chicago and it’s my first year. I’ve been watching your videos since I was at least 12 and I love the fact that your interests and goals and job and dreams look like (hopefully) a little glance into my future! This article was amazingly helpful and really great info to know! Really liked this post! I work at Public Television in New York on a local news program, and run our ne wsfeed on social media; so I understand having to work long hours. I always have to keep an eye out for BREAKING news practically 24/7. I love it though! Haha, I feel you! I work as a journalist for a newspaper and there is no time of the day when the news sleep, not even on weekends or sunday nights. So my work shifts are all over the place and sometimes it can be really hard to find time to meet friends or relax. But as long as we love what we do, it's worth it! I’m a stage manager and feel this so hard. On one contract (when I was an apprentice) I was given a day off rehearsal to go to be a bridesmaid in one of my best friend’s weddings. Having that day was so special but has also made me even more cognisant of how important those days are and made me more sad about the ones I miss. This was awesome to read. Thank you! I work as a youth activities performer for Disney Cruise Line. We do around 10 hours a day on the clock with no days off for 4 months at a time! Then we get 5/6 weeks off and then back at it again. I'm reaching the end of my contract and I can already taste Disney world hahaha only 9 more days! I perform on average 4 hours a day and the rest is set up/clean up time for the shows and then other duties. And well, of course you don't see your friends or family for 4 months but then vacation is all about them! Such an interesting read! Loved it! I just don't understand how someone could put so much value in watching a show, but not ever consider ANY of the work that goes into it. I just want people to think. Fascinating! I hope it quells all the naysayers who think what you do is an easy life! It may be good fun but it really is as hard earned as any other job. It's lovely getting in insight, but it still the best job ever. I guess sacrificing for the job you love is worth everything :). With my dance and musical theatre school, we did one whole show week like you do, and I used to do my 6th form home work up in dress circle lol. Looking forward to more blogs and behind the scenes vlogs. Even my eight year old son, loves your vlogs, after watching The Addams Family and loving Les Mis, will take him to watch Les Mis at the West End and Matilda at Norwich Theatre. Guess, I'm living my life through you, being a musical actress has always been my dream since I was four. This is a very good blog post. It was only when I discovered your YouTube channel that I realized that actors and actresses have a really difficult job to do. And people only see the time on stage as your "working time". Blogs like this open eyes. I mean it is not the same, but I am going to be a teacher one day and all I hear from people is "Oh, you don't really work. You are just in school for a few hours and have a lot of free time. And look at the holidays!". I always get angry about this, because they don't see the time you have to put into planning a lesson, creating material or even correcting homework and stuff like that. Every job has its difficulties and I think you can't compare them at all. There should be a lot more respect for all the jobs that are not seen as "regular" jobs. I really love this blog post!